Many customers will have a clear idea of what they want their windows to look like, but need guidance to choose the right replacement windows. Clearly, if the property is a Listed Building they will have to follow strict guidelines, best covered by referring to local and national planning rules. However, if they are replacing windows in a “normal” property then the requirements are less prescriptive. The things to consider will differ depending upon their existing windows, the reason they think they want to change their windows. Obviously, if their windows are now not fit for purpose, then replacement will be required. Reasons for being not fit for purpose may be because they are in a poor state of repair, letting in wind and rain, providing very poor insulation, or the room feels cold because of the windows. If the existing window is a single pane of glass, then double glazing will improve energy efficiency by about 20%. If the window frames are wooden and have rotted, then there is a choice between replacement material, as well as the pane(s) of glass. There will also be an issue if they want to either replace with “like-for-like”, to maintain the style of the windows, or possibly change the look of the house. Each option will have a different cost and it is not always going to recoup the cost of the replacement windows by increased value of a house. There is an obvious trade off between better aesthetics, energy saving and comfort on a room or rooms. Sometimes, just looking at one sample window may not give you a true picture of what the whole house will look like when all the windows are replaced. Selecting the right windows for a house can be overwhelming. There are wide range of styles, materials, and features to choose from. This will be a major investment and you will be expecting your new windows to last for up to 20 years. Your customers will want to do some in-depth research before they make a decision. Helping them through this process can save them and you headaches later on. Which is the most aesthetically pleasing material? Which is the most energy efficient? 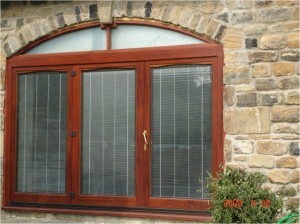 It is worth noting that the advice given by a contractor can also be driven by the type of windows they supply. This can lead to them rubbishing the other materials so that they are the chosen solution. Whether they see wood, aluminium, or UPVC as aesthetically to their taste. What their budget is, wood, metal and aluminium can be slightly more expensive? Wood can also be cheaper if the wrong quality of wood is chosen. UPVC can be mass produced easier and doesn’t require quite as much manual work manufacturing it. Aluminium is stronger than UPVC, but this can be compensated for by including metal spines in the UPVC frames. Wood can also be a strong material, but will require regular painting to keep it looking good. It has good insulating properties. Single or Double Hung Windows: These are common windows and consist of two separate sash and they open or close by sliding up or down. A single hung window opens from the bottom only by sliding up, while a double hung window can be opened from either the top or the bottom. Double hung windows are ideal for creating air flow through a room. When you lower the top sash, this allows air flow from the top of the room. They are also ideal for home where there are small children. They remove the danger of a child climbing out the bottom window. Casement Windows: These windows usually of a vertically hinged large sash that opens by swinging out. There is usually a lever or handle that is used to open the window. Awning Windows: These windows are hinged at the top. They are opened by tilting the window out from the bottom. Slider Windows: These windows open by sliding from side to side. They provide a great option when there is limited space outside to swing the window open. 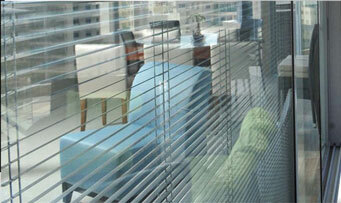 Another factor that will affect, price, efficiency of the window and aesthetics is the window glass. The days of very few options for window glass have gone. Technological advancement has expanded the options available in window glass. This is not just about the material used, but also the choice between double, triple or even quadruple panes of glass. There is also the option of using different gaps between the panes of glass. It should be remembered, it is not the number of panes of glass that increases the insulation effect of the window. It is more about the air, gas or vacuum between the panes of glass that provides the additional insulation. A large number of manufacturers use an inert gas (usually argon) between the panes to provide the insulation, because this is better than air on its own. Low Emissivity Glass: Low E glass refers to glass that has a special microscopically thin layer of material on the surface of the glass. This is microscopically thin and reduces the amount of heat flowing through the glass itself. Impact Resistant Glass: This produces glass that does not shatter in shards but tends to crack. This is much like the windows used in cars. There is also another factor that can be added to double glazing to give increased thermal efficiency and great shading properties. That is integral blinds and you can read more about this by following this link to glass with blinds inside. Call us now on 0800 310 12 22 or Contact Us Now to find out more about how double glazed sealed units can help your customers choose the right replacement windows. Upgrading from single to double glazing. Replacing a single-glazed window with a good quality double-glazed window will more than halve the heat loss. On the face of it that sounds like you are going to reduce your heating bill by over 50%, but that is not the case. Only about 10% of the total heat lost from an average house will occur through the windows. If you have uninsulated walls then adding double glazed windows is going to give you as much saving. There is really no point in putting expensive double-glazed windows in uninsulated walls. New build houses have very well insulated walls, so the saving is incrementally good. There will be some saving on a house having poorly insulated walls, so a decision has to be made. Do you also upgrade the insulation of the walls (and roof) at the same time? This will add more cost to the insulation project. Upgrading from double to triple glazing. 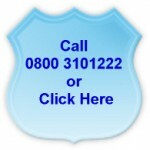 Without doubt, if you have a new built house then double glazing is very sensible. Building Regulations require the house walls and roof to be highly insulated, along with the windows too be very efficient insulators. The only reason to add triple-glazing will be if you have super-insulated the whole house. Using triple-glazing will only reduce heat loss by about 5%, but will increase the cost by about 20 per cent more compared with double-glazing. What else can you do to insulate sound and heat in windows? I quite a few cases kit is not just about keeping heat in during winter, but also in summer there is a need regulate the heat entering a room to stop overheating. Well you could use integral blinds this will allow you to have the benefit of adding a little more insulation, but also being able to control the amount of heat going into the room on a hot day. Integral blinds in double glazing will also attenuate the sound in a noisy environment. Additionally, internal window blinds for double glazing will allow privacy if a room is overlooked or needs to have privacy. Call us now on 0800 310 12 22 or Contact Us Now to find out more about how upgrading single glazed windows to double or triple glazing can help your customers.